This job was recently carried out in our local area of Bromley, Kent. 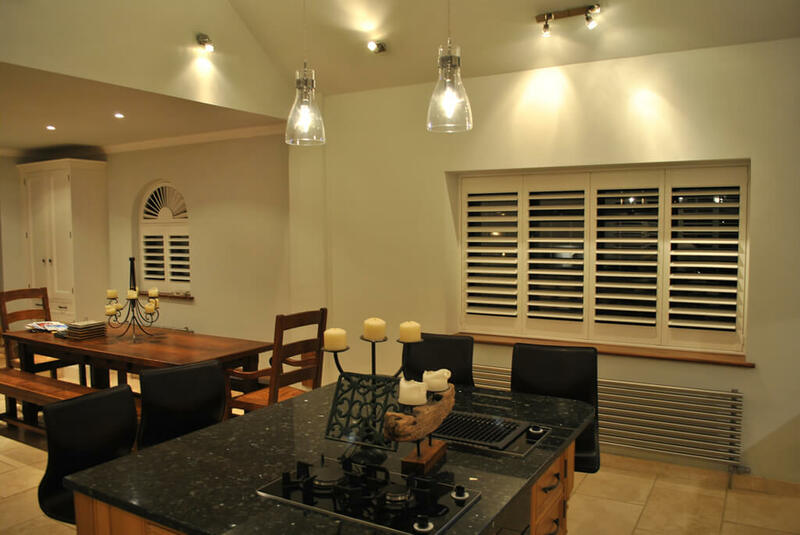 Daniel and Max were on hand to offer their expert knowledge and installation skills to fit these shutters to 3 different windows in the home, 2 of which required us to custom make and fit some special shape shutters. As you can see the kitchen area required 2 different types of installation. 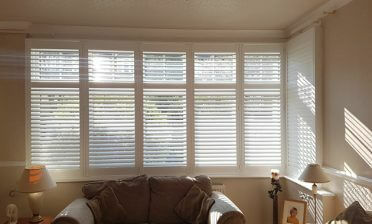 We have a row of full height shutters made from Coralwood and finished in a lovely silk white colour which really compliments the existing decor and feel of the room. 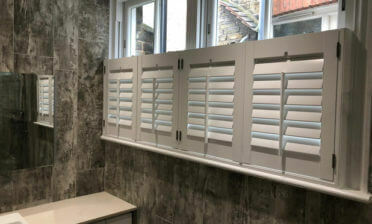 These were made up using 89mm louvres with hidden tilt rods which allow the shutters to be operated with no visible rods. The other kitchen window required some arched shutters, complete with sunburst top. Both shutters were completed with hinges matched to the same colour. The next special shape fitted within this property was in the main bedroom. 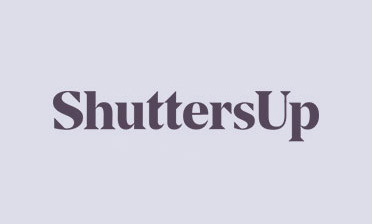 The customer had recently had a loft conversion carried out and the only option for a window covering were these fantastic shutters. 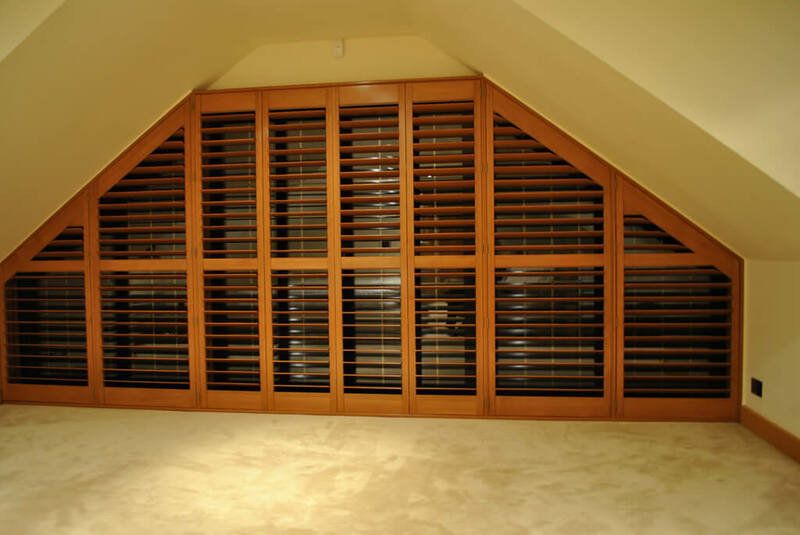 The shutters are full height with mid rails to separate the louvres, made using Larchwood and finished in a golden oak stain. 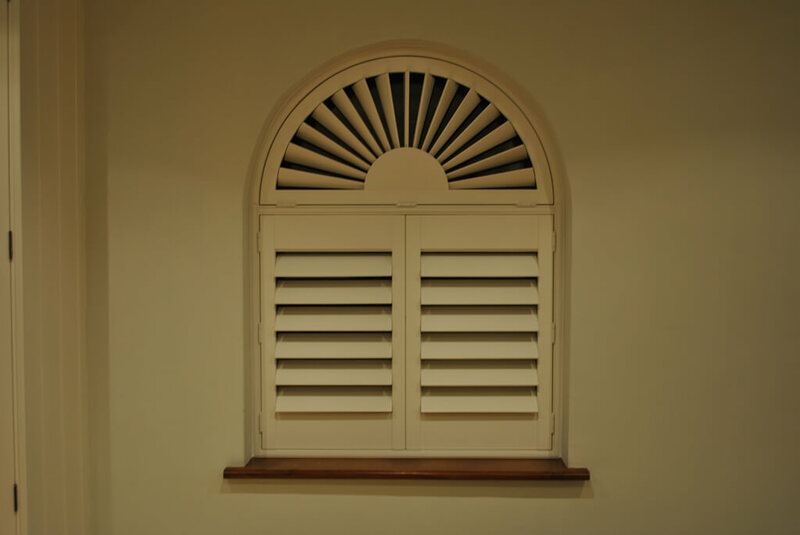 These shutters also feature a hidden tilt rod system and are completed using antique brass hinges.